We are a leading Manufacturer of polyurethane coating, floor coating, coal tar epoxy coating and epoxy wall coating from Palwal, India. We are the leading and prominent Service Provider of Polyurethane Coating. Floor coating Flooring is the general term for a permanent covering of a floor, or for the work of installing such a floor covering. 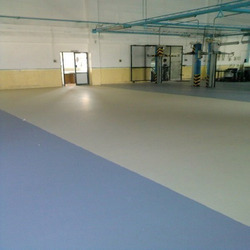 A coal tar epoxy is a black surface protection polymer used on surfaces subjected to extremely corrosive environments. It is a blend of various epoxy resins and coal tar. 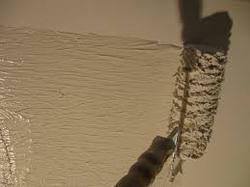 Product #1W High Build Epoxy Wall Coating - epoxy coating for walls, is a two component, 100% solids epoxy Hi-Build epoxy wall coating used for high indoor traffic areas where abrasion resistance is required; for protection against mild corrosion; and as a decorative waterproof coating for walls, tanks, etc.